I also added them to the trails tab at the top of the page, and if you google them their website comes up. Well, Outlander I purchased my wife's atv thinking oh...you can ride anywhere. 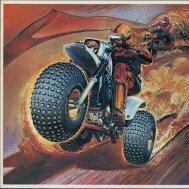 Then once I returned home with it I was informed by one of my neighbors (that owns an atv) that you cant. So I started looking for a good place to ride, camp, and fish (Rolling Meadows ATV park has in their plans to install a lake in the near future). Well with all of those parameters I guess I must be asking for the impossible. We could not find anything. The ones we could find had been shut down by the state for improper paper work or the economy just pulled them down. 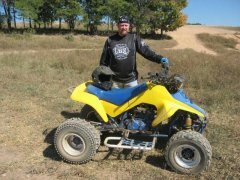 We have known the owner of Rolling Meadows ATV Park for several years. He tried to get me to invest in the park when I was in Iraq. At that time however, I had no interest in Atv's or a park. So when we purchased ours my wife just happened to run across his website and bam here we are. We are still not investing in the park but I am lending my assistance to help better the park every way I can. Especially after seeing how hard it is to keep a park going with all of the red tape and the bad publicity atv's have gotten over the years. No problem Pony... I hope you get a chance to come out and take a look at the park. Also my wife and I are setting up a Myspace page for Rolling Meadows ATV Park as well. It will be a more up to date look at the park. The owner is currently trying to get control of his website from its creator so we can get it more up to date as well. 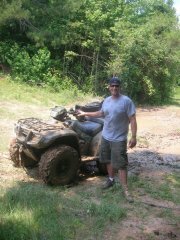 We had another great weekend at Rolling Meadows Atv Park. The grading company came in and started working on 3 drag pits and they put in a oval style water/mud track. I would like to invite everyone to come out and take a shot at the pits. Looks like a pretty cool place. It is about 4.5 hours away from me maybe 5. I hope maybe we can try sometime for a weekend. Thank for sharing the information and welcome home Tony. Thanks for your service. I know the owner would love for you guys to come out and enjoy the park. Its a great place, we call it a home away from home. So Far it looks like these will be the things discussed to be included in the ticket price plus Much More! What else would everyone like to see? PSEM is also finalizing Vendor Info and anyone looking to support the event or sponsor it in anyway please contact me via PM. 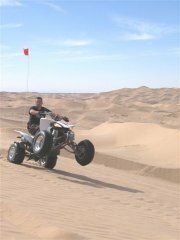 I Hope to get a bunch of guys from here going as you know I have been doing this for many years and am super knowledgeable about the dunes. Feel free to ask anything. There are no stupid questions. Pricing is $600 per Quad / $400 per Bike for the shipping round trip. Shipping is what we provide.